Perfect for outdoor entertainment, the Stratco Outback Pergola and Shade Blade makes for an exceptional addition to living spaces that need a hint of privacy and cover. This system provides structural support and a shaded area for hotter periods of the year. They also deliver warmth during cooler seasons in Melbourne, and an optional screen that ensures complete solitude from neighbouring properties. 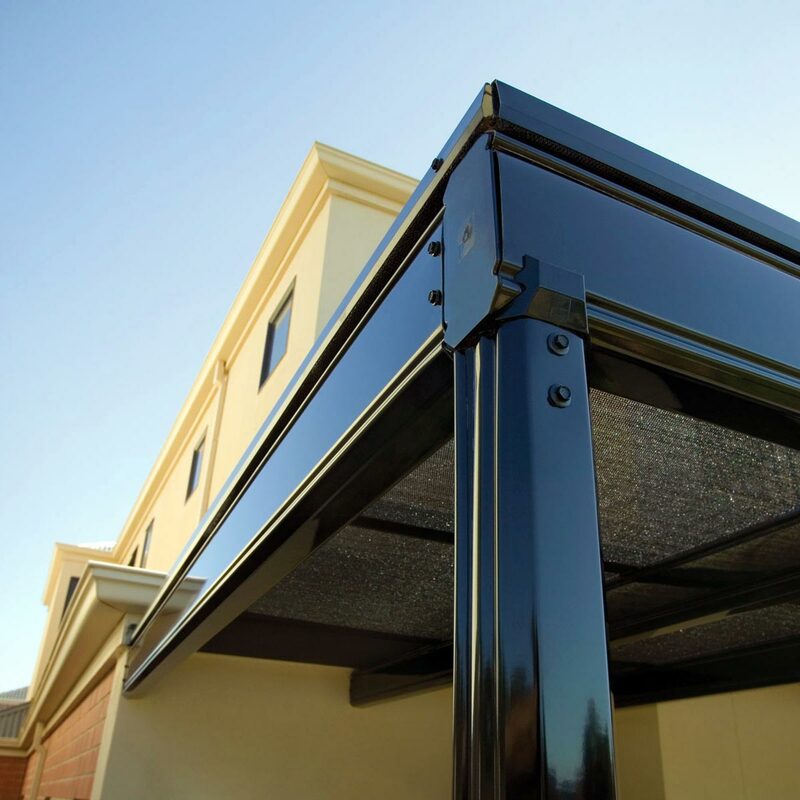 Our team can install high tensile steel pergolas and patios anywhere in Melbourne, for a more durable solution that eliminates timber warping and the risk of knots or twisting occurring. Available in a number of high gloss colours, our Stratco pergolas include carefully designed columns and beams that prevent rotting and do not require frequent painting. 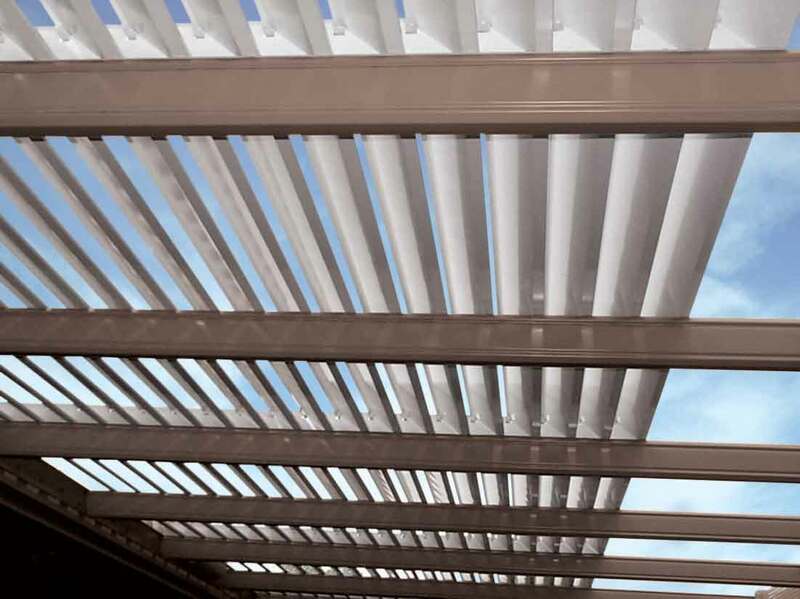 Through pre-notched connection sleeves, the Stratco Outback Pergola is easy to construct and install. The range of fittings ensure the steel components don’t feature the unattractive brackets that other systems require. The overall result is a flawless, sleek look that will last through all weather conditions that Melbourne delivers. 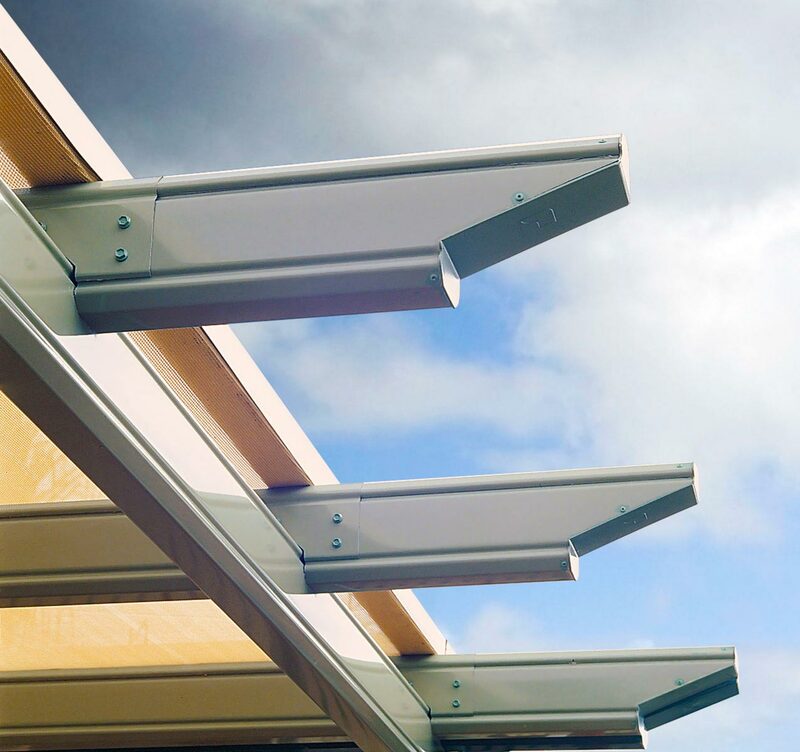 Stratco’s Shade Blade features small gutters that eliminate the risk of moisture and rain damaging the infrastructure. As well as offering relief from the sun during summer, and allowing an easy flow of air throughout the system, the blades also adapt to cooler periods when the sun’s warmth is required to filter through the blinds. Create an inviting open-air setting that will let the light in and improve the appearance of your home. Ideal for defining and shading an outdoor space for both you and your delicate plants. 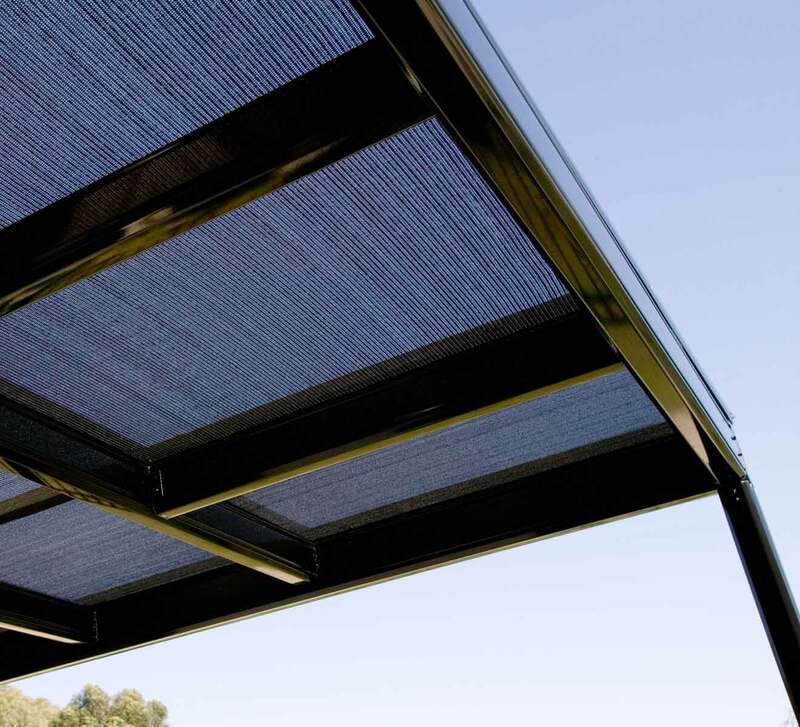 Offering a range of options, the Outback Pergola allows you to leave the pergola open, clad it with shade cloth, or complete it with the innovative Shade Blade system. With massive spans of up to eight metres, it is available freestanding or attached. The beams can be left open or fitted with a range of shadecloth colours and shade levels for varying sun protection. The shadecloth is attached with a special clip for a neat finish. 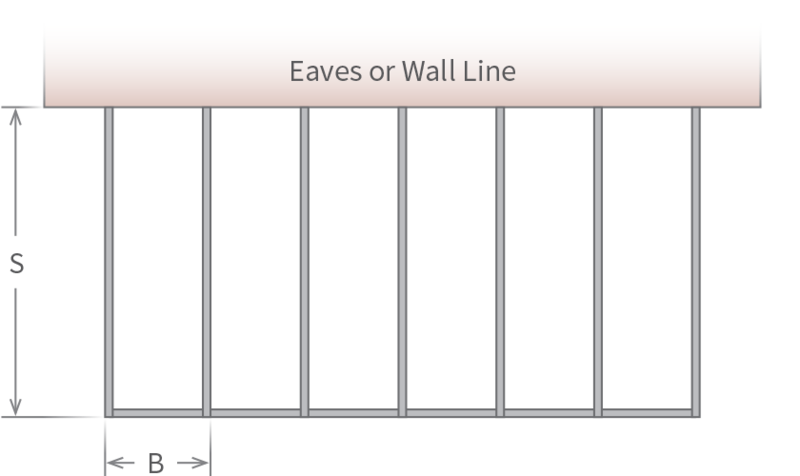 You can even embellish your pergola with optional profiled beam ends. For a more permanent option to create natural filtered light, the innovative Shade Blade system is ideal. Designed to attach to your pergola as an angled, fixed blade arrangement, Shade Blade lets the light and breeze in while providing shelter from the sun. The unique blade design has a small gutter to provide protection from light rain. For added privacy, Shade Blade can be installed as a side screen. When used as a side screen, the support post centres should be a maximum of 1.2 metres apart.